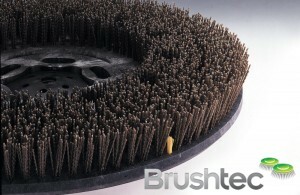 Abrasive monofilament Tuff-Grit is a brown coloured, extra stiff, 1.7mm (0.070″) 6/12 nylon, extruded with a coarse 46-grit silicon carbide abrasive. 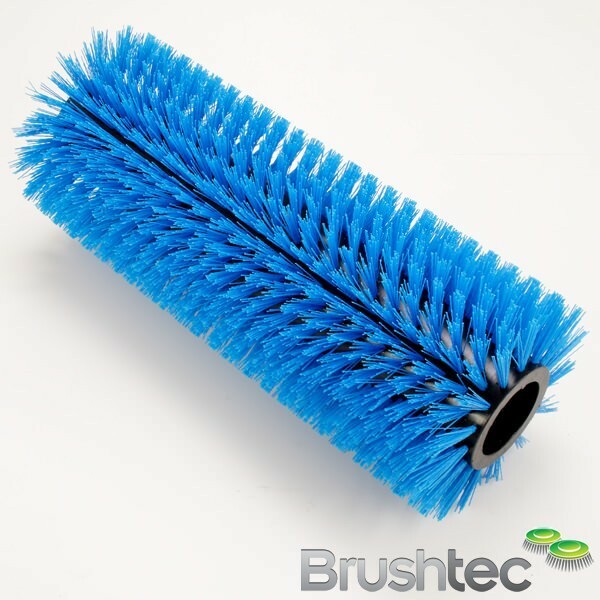 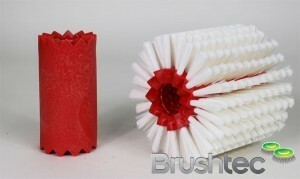 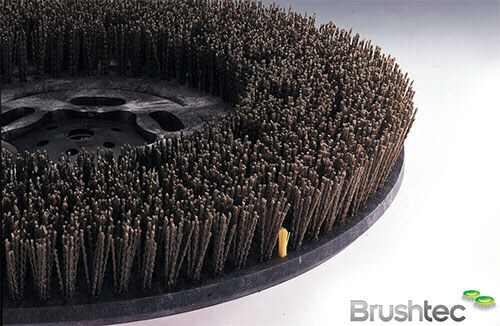 This is our most aggressive brush. 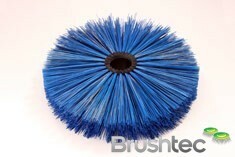 It is used wet on unsealed concrete floors to remove the heaviest build up of dirt & grease.